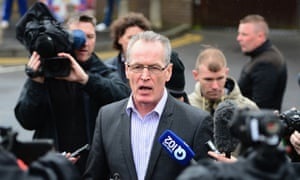 Providence so ordered my steps last week, in such a manner to lead me across the path of convicted IRA/MI5 terrorist Gerry Kelly. I had a quick game of psychological chess with him. "See the way youse go on and on about collusion," I said, "All you have to do is go after the activities of Sergeant Mike Norman and you will get to the heart of it. But if you do, the British government will respond by revealing every IRA/MI5 informer they know about in retaliation!." Gerry replied, "That suits me!" I replied, "That is because you were in jail most of the time!" Needless to say, Gerry has not publicly mentioned Sergeant Mike Norman, nor will he, neither will any other "Irish Republican." That was a quick check mate by me!